I think 2015 could be the major jump off point of the dairy-free boom, if recent product releases are any indication. 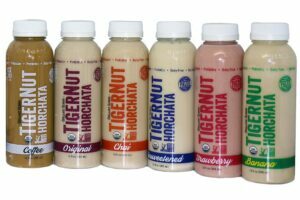 My latest find, and passion, is Organic Gemini’s Tigernut Horchata. 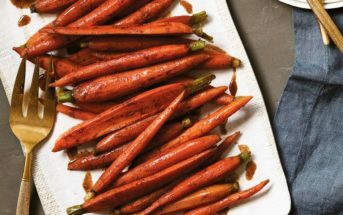 I sampled the Unsweetened at the Fancy Food Show in San Francisco and it was love at first sip. Somehow, that simple beverage of just filtered water and organic tigernuts (seriously, those are the only two ingredients!) hit the sweet spot as a refreshing yet lightly creamy beverage. The consistency was akin to 1% milk, but the flavor was above and beyond with purity and a cool natural sweetness. 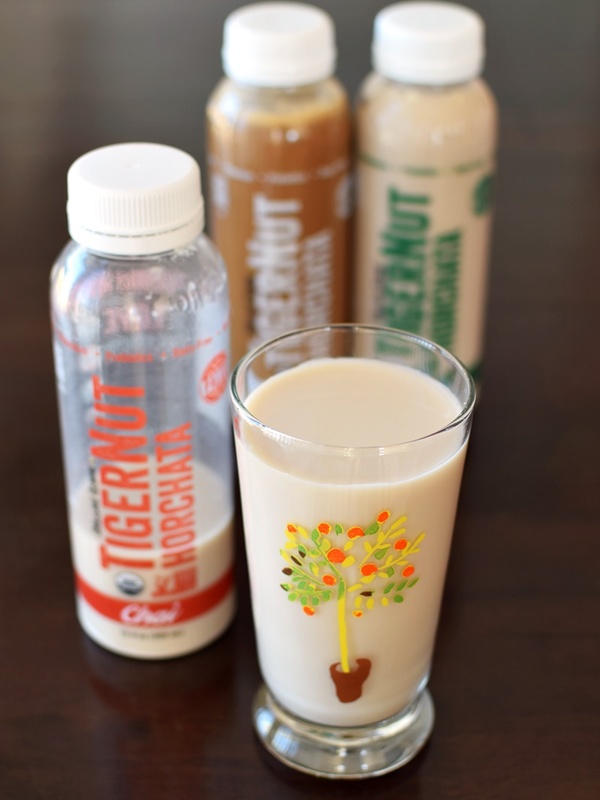 They call it Tigernut Horchata (it seems this is how original horchata was actually made), but I call it the best new dairy-free milk beverage … with just two caveats. One of the big benefits of tigernuts also takes away slightly from it’s mainstream appeal. 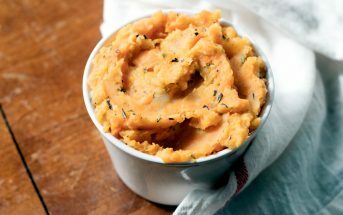 There is a “sediment” as they call it, which is a bit more like a thickened starch (because that’s what it is!) that doesn’t mix in, even with a good shake. As noted on their package, it’s a nutritious prebiotic resistant starch, but we didn’t find it drinkable. We had to blend it into thicker smoothies to make the “sediment” palatable. The second hold up is the cost. As I write, the price of Organic Gemini’s Tigernut Horchata is in the “juice cleanse” price range. Worth the splurge for many who want it’s wonderful nutrition, but too high for most of us when it comes to daily use and enjoyment. 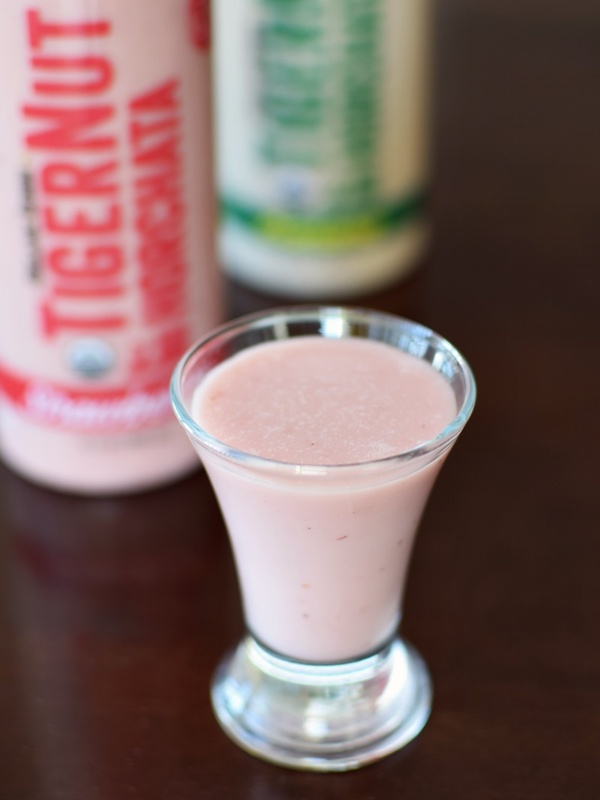 That all said, there are still so many amazing benefits of this Tigernut Horchata: raw, non-gmo, organic, vegan, dairy-free, gluten-free, soy-free, very pure ingredients with nothing but tigernuts, water, and depending on the flavor, fruit, spices, and/or a pinch of Himalayan pink salt. It is also nut-free (so is their facility! ), tigernuts are actually small tubers, or root vegetables, not tree nuts. And, the taste is FABULOUS! Their baseline Tigernut Horchata has just a touch of organic dates to heighten the mellow sweetness. The dates definitely influence the flavor, but the unique underlying taste of the tigernuts is ever-present. I found it to be a nicely sweet, very drinkable beverage (this is big, as I’m not someone who likes to drink “milk” of any kind straight-up) with a hard to describe flavor. It is a touch earthy yet light and fresh rather than weighty, nutty or strong. Again, dates are used to sweeten the very unique, pure spice flavor of this Tigernut Horchata. Each sip was preceded by the potent scent of cloves and nutmeg, which only added to its strangely addictive taste. Aside from straight up, I thought the Chai was nice in tea and smoothies. I think this is still my favorite Tigernut Horchata for both taste and versatility. The tigernuts have a nice natural sweetness (only 3 grams of natural sugars in a whole bottle), making this a pretty light and refreshing, yet nicely creamy milk. It goes well on cereal, in smoothies, for sipping- the possibilities are endless! This flavor is potently coffee – Tony liked the taste (not the sediment), but it was way too strong for this herbal tea drinker. Just slightly creamier than the others and purely banana in taste. This Tigernut Horchata relied on organic banana rather than dates for sweetness. I liked this one, but it wasn’t a love. For me, bananas are meant to be eaten whole or in thick and frosty smoothies/shakes. Cool and drinkable banana just wasn’t my thing. 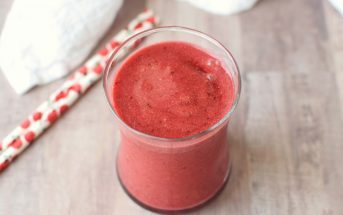 While the rest drink like milk, this chilled variety drinks more like a lightly sweet, thin smoothie. The taste is pure with little strawberry bits throughout. Delicious. Certifications: Organic Gemini Tigernut Horchata is Certified Organic, Certified Kosher Pareve, and Non-GMO Verified. Dietary Notes: By ingredients, Organic Gemini Tigernut Horchata is dairy-free / non-dairy, egg-free, gluten-free, grain-free, nut-free, peanut-free, soy-free, paleo, vegan, and vegetarian. Nonetheless, check with the company on their manufacturing processes for all varieties if potential allergen cross-contamination is an issue for you. Processes, ingredients, and labeling are subject to change at any time for any company / product. For More Product Information: Visit the Organic Gemini website at www.organicgemini.com. Naturally sweet, no added sugars, perfectly creamy and yet light, refreshing and totally drinkable, this could be my favorite new dairy-free milk of the year. The resistant starch “sediment” (read the full review for an explanation) and the high price tag are the only things that are holding tigernut milk back from the mainstream, in my opinion. But once these two issues are addressed, I expect to see this healthy delight everywhere! I tried to find a store near where I live, but the site kept giving me stores on the east coast. 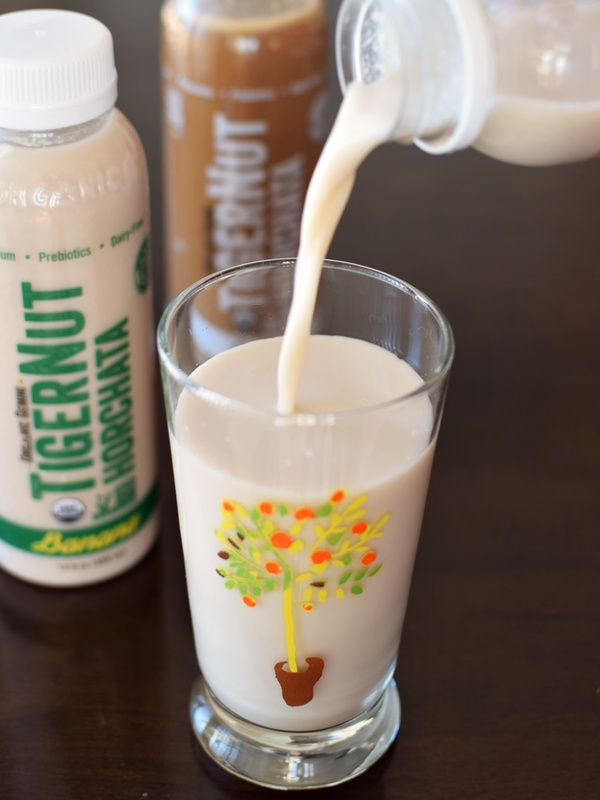 Do you know if any stores in the Chicago area carry Tigernut Horchata? Sorry, I don’t work for them so I’d have no idea! You can contact them directly about availability. I received it by mail – they ship all over the country! Hi, Where did you receive yours by mail from? Their website only shows retailers and none in the Chicago area carry the horchata–only the tigernut flour. I’ve searched the web and cannot find any organic tigernut horchata anywhere. 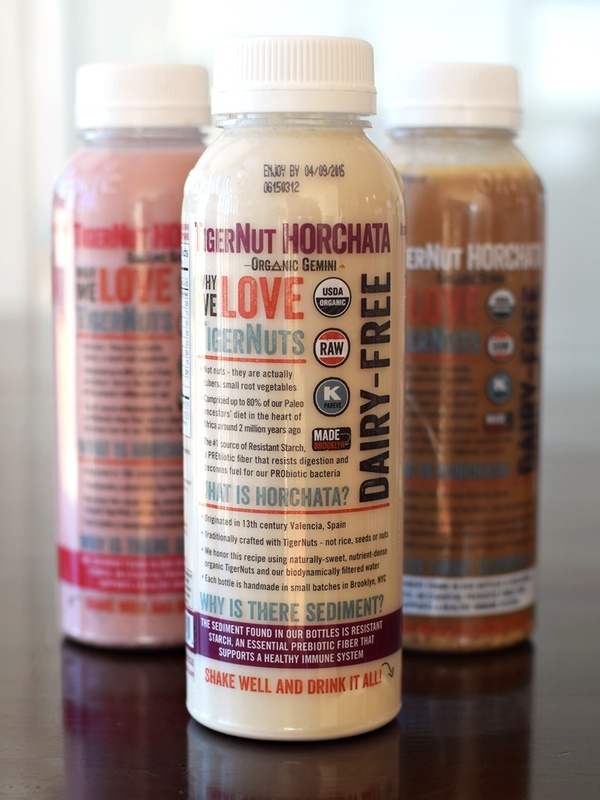 Initially, I got it via online ordering – they used to ship the horchatas direct to consumers. I did see them in my local Whole Foods recently though, and checked their website. It states, “Sold nationwide in Whole Foods Markets and other natural retailers.” It’s possible that their store locator isn’t updated.